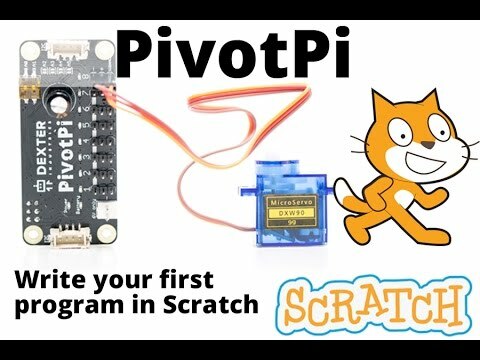 The PivotPi Base Kit is perfect for getting started with animated robot projects! Whether you are a parent looking for a smart, fun weekend project to do with your kid, a teacher looking for a way to integrate STEAM concepts, or a grad student wanting to build a robotic arm! Code anything in your world to move with 4 small servo motors and 2 large powerful ones. This is a kit that includes the PivotPi board, battery pack, 2 large servo motors and 4 small servo motors. 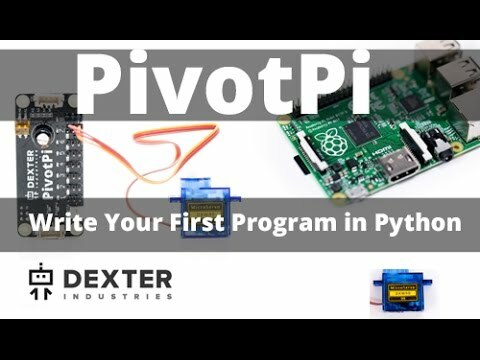 Now you can program your robotics, automation, and art projects to move! Raspberry Pi (PivotPi is compatible with all version of the Raspberry Pi): This board is the main brains of the robot that will connect to the PivotPi board. mini Wi-Fi Dongle: Can be plugged in to the Raspberry Pi so you can unplug the ethernet cord and make it function as a remote control, mobile car. microSD Card: Required “hard drive” for the Raspberry Pi (comes with Dexter Industry’s custom software “Raspbian for Robots” or if you are a beginner, check out or CINCH SD card.). Ethernet Cable: Required for plugging in to your computer to program the PivotPi (unless you use CINCH). Power Supply: Wall plug to power your Raspberry Pi while you are programming it, rather than using the batteries.